The kick-off to summer is here and that means beaches, boating, barbecues and a blockbuster sale to help you score all the items you've been craving. 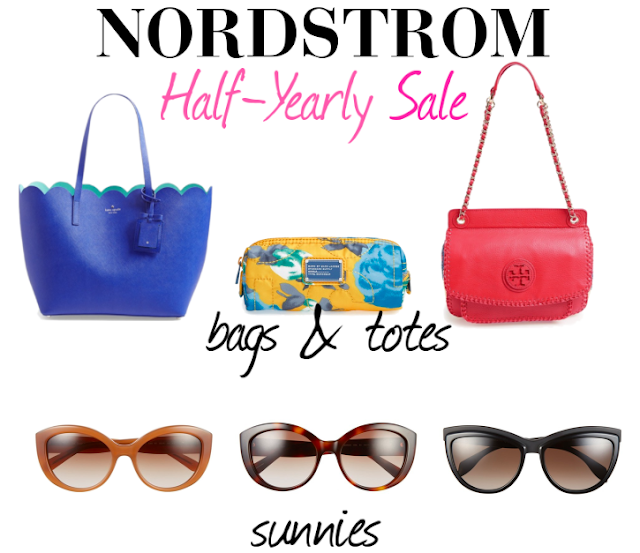 The Nordstrom Half-Yearly Sale is where you'll find spring and summer must-haves marked down to savings of up to 40% off! Today I've featured a round-up of my picks for everything from tops and bottoms to beachwear. With items form Tory Burch, Kate Spade, Burberry and Nanette Lepore up for grabs, my advice is act fast! I already ordered this off the shoulder top, these denim skinnies and this pair of Sam Edelman calf-hair sandals that add a pop to white, black, navy and neutrals all season long. Sizes and selections fly during this one so if there is something you want don't wait! Happy shopping girls and have a wonderful Memorial Day!